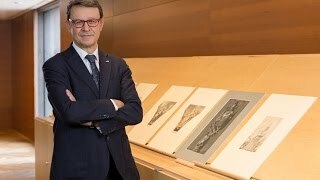 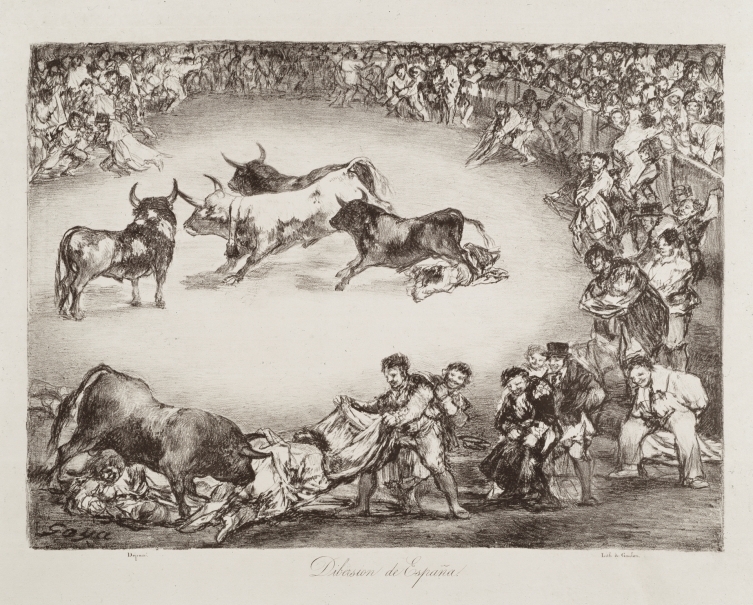 Due to its quality, the Museo del Prado’s collection of prints, drawings and photography is one of the most important in Spain. 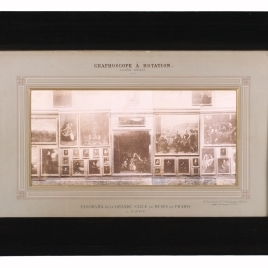 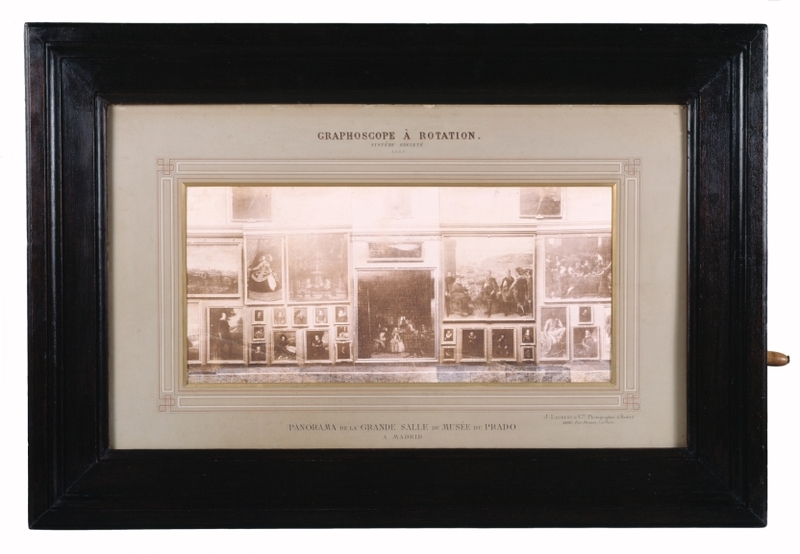 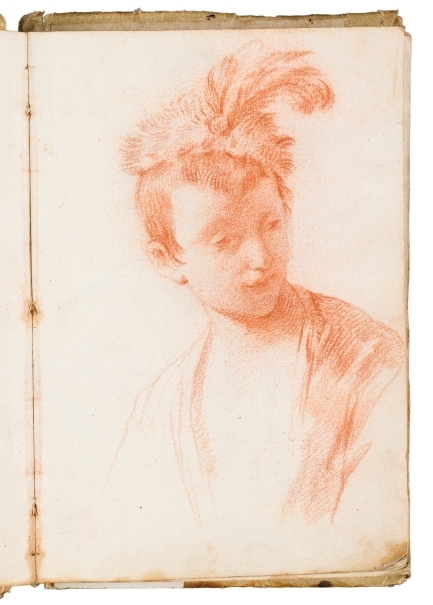 Comprising more than 9,000 drawings, almost 6,000 prints and approximately 10,000 photographs, the diversity of the works’ provenances offers a good example of the way drawings were collected in Spain in the 19th and 20th centuries. 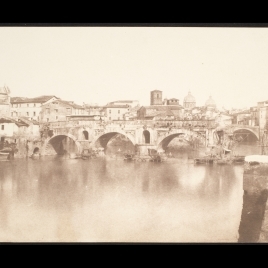 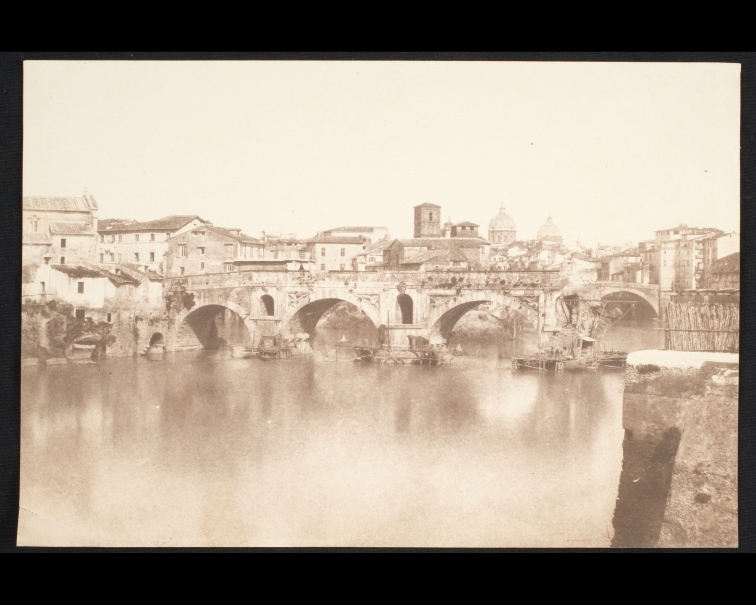 Various areas are particularly outstanding: the Spanish and Italian drawings, the Goya collection (drawings, prints and letters), reproductive prints of paintings, documentary photographs of works of art in the Museum, and the group of mid-19th century Roman school photographs. 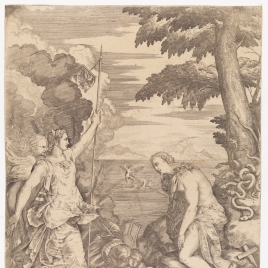 In contrast to the Museum’s painting and sculpture collections, very few works were originally in the Spanish Royal Collection. 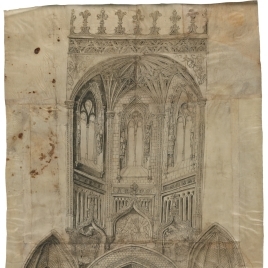 Among the few drawings of that type is the Ground-plan and Elevation of the Museum by Juan de Villanueva, which was hung in the monarchs’ retiring room in the Museum due to its emblematic nature. 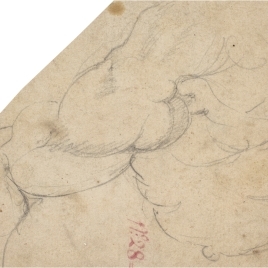 A significant group of 17th- and 18th-century Spanish drawings, notably sheets by Alonso Cano and Francisco Bayeu, were traditionally considered to have come from from the court painters’ studio, but in fact they derive from the academy established by Vicente López in the Royal Palace, entering the Prado when it closed in 1839. 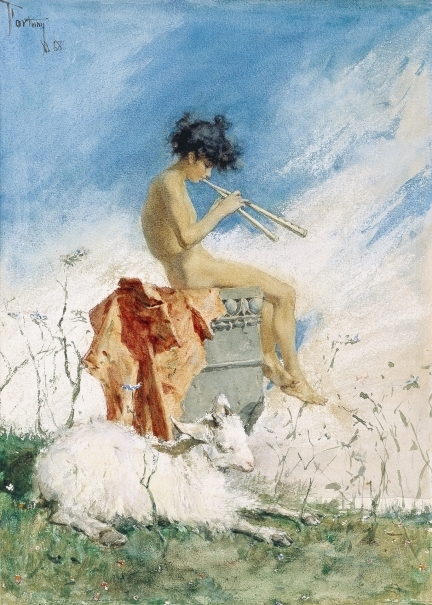 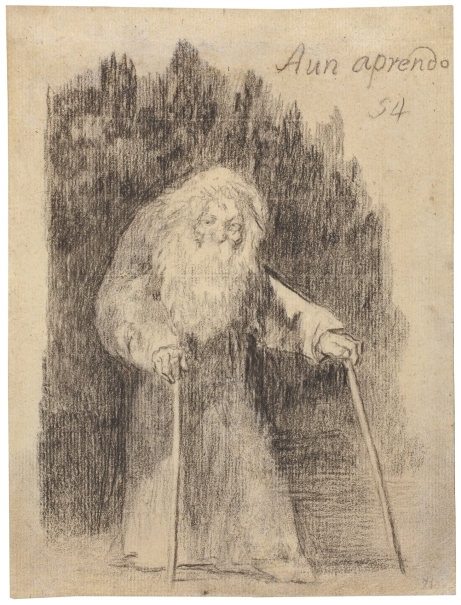 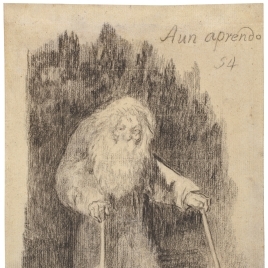 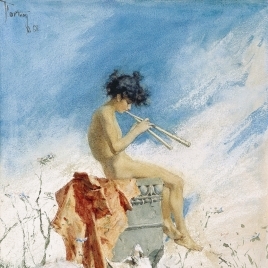 The holdings of the Museo de la Trinidad that entered the Prado in 1871 include a remarkable drawing by Juan Guas for San Juan de los Reyes as well as one of the most outstanding groups in the present-day collection: an album of 186 drawings by Goya from his private albums, from the Sanlúcar Album to the Bordeaux albums. 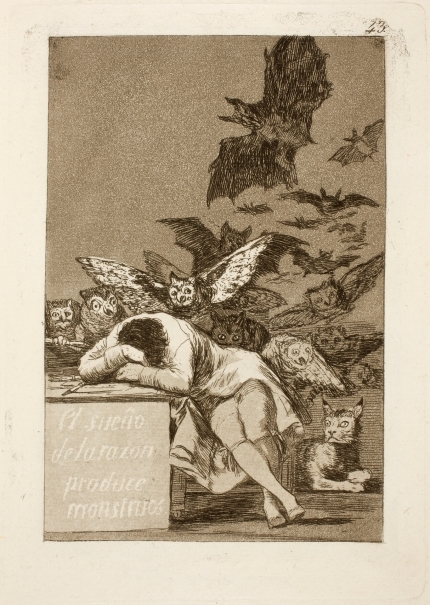 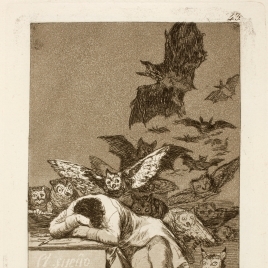 In 1886 the Museum’s holdings of drawings by Goya were increased with 262 preparatory drawings for his prints which came from the collection of Valentín Carderera. 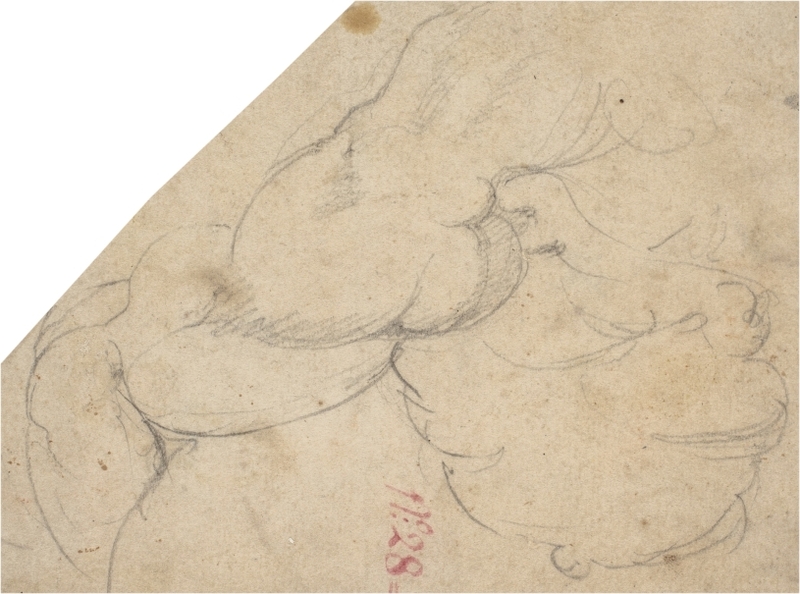 With these two groups and the subsequent and ongoing acquisition of drawings, prints and letters by the artist, the Museum has become an essential point of reference for any study of the artist. 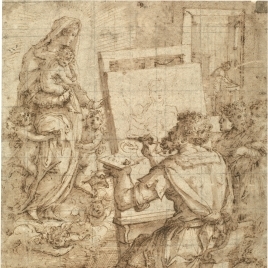 In 1931 the Spanish aristocrat Pedro Fernández Durán bequeathed a remarkable collection of art that included more than 2,000 drawings, most of them Spanish and Italian from the 16th to the 19th centuries, including unique works such as a preparatory drawing by Michelangelo for the Last Judgment fresco in the Sistine Chapel. 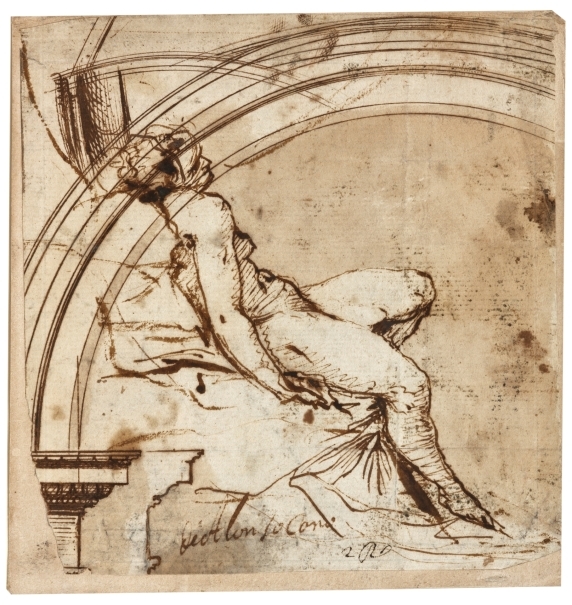 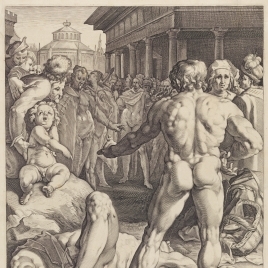 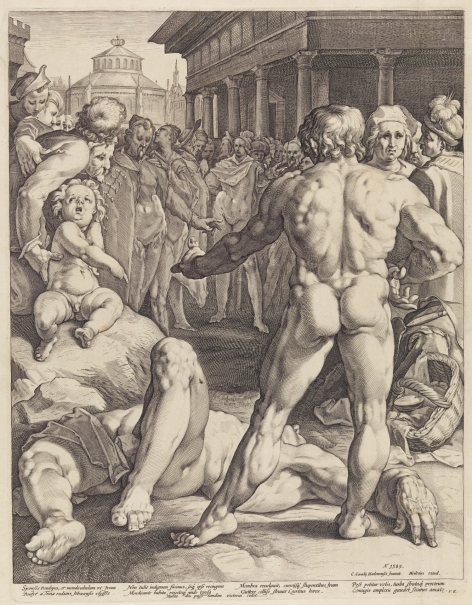 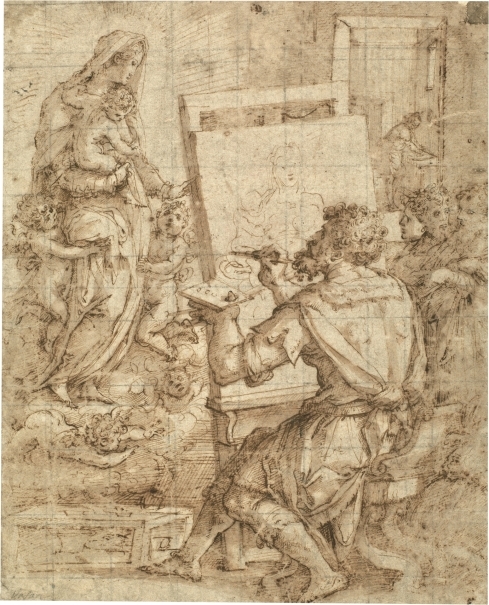 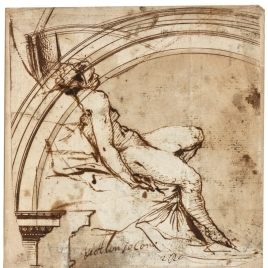 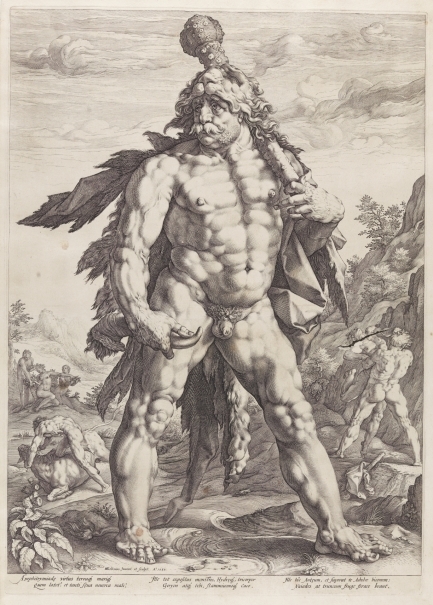 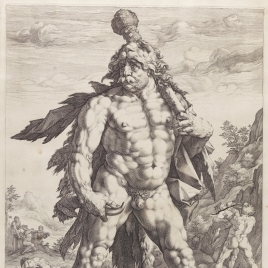 These works offer a comprehensive survey of the technique and purposes of drawing. 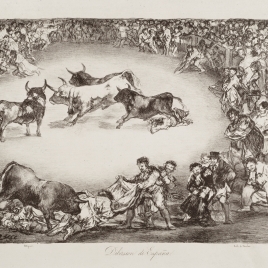 The fusion of the Museo de Arte Moderno and the Museo del Prado in 1871 resulted in the arrival at the Museum of an important and excellent group of 19th-century prints and drawings, of which the works by Carlos de Haes and Eduardo Rosales are particularly worthy of mention. 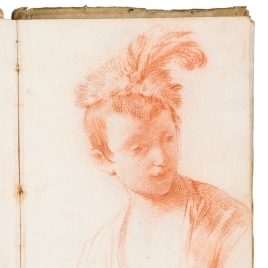 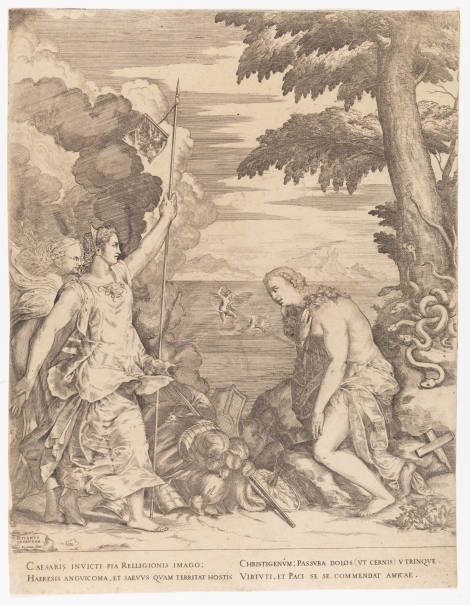 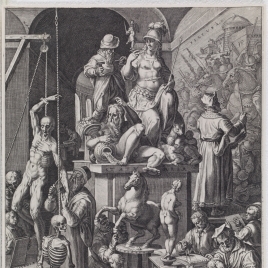 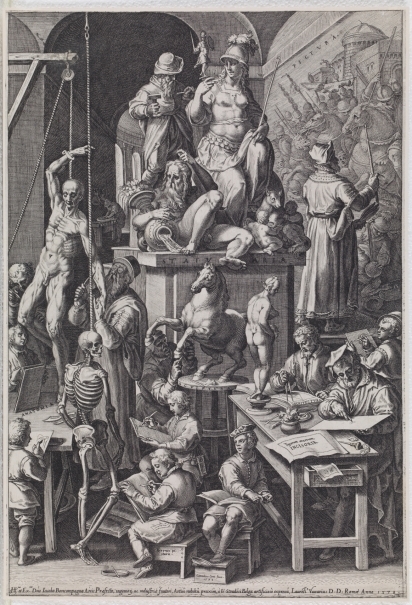 In addition to various bequests and acquisitions made during the 20th century and in the present one, of notable interest are the recent acquisitions of the collection of the bibliophile José María Cervelló, which focuses on reproductive prints of paintings and sculpture, principally from the 18th century; and the collection of drawings, prints and photographs that belonged to the Madrazo family and which constitutes a remarkable example of the use of these techniques in the process of artistic creation.